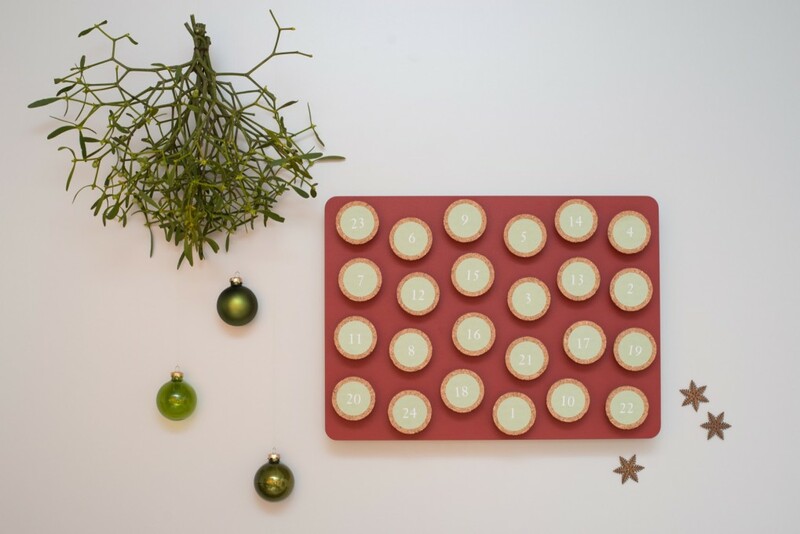 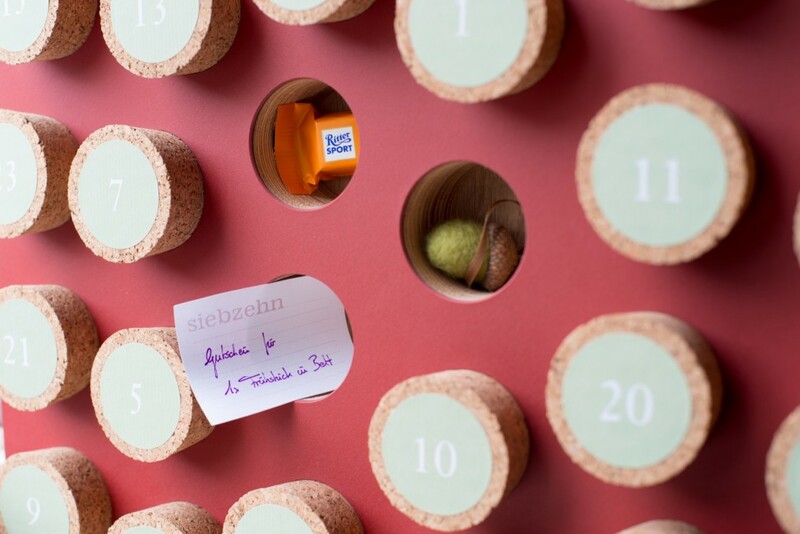 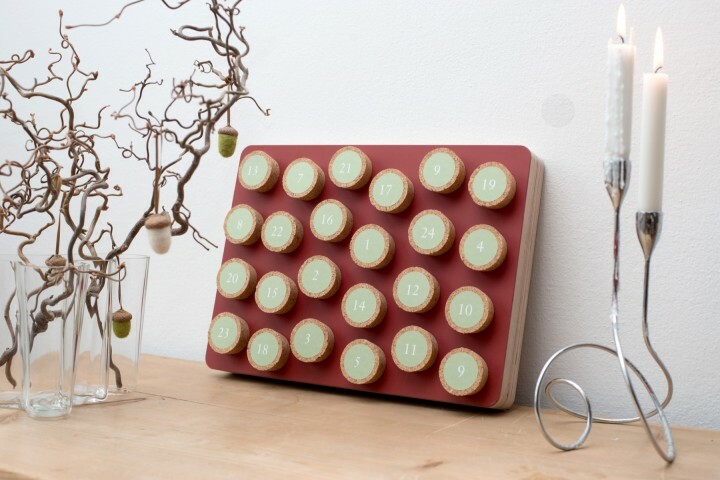 A stylish alternative to the traditional chocolate Advent calendar. 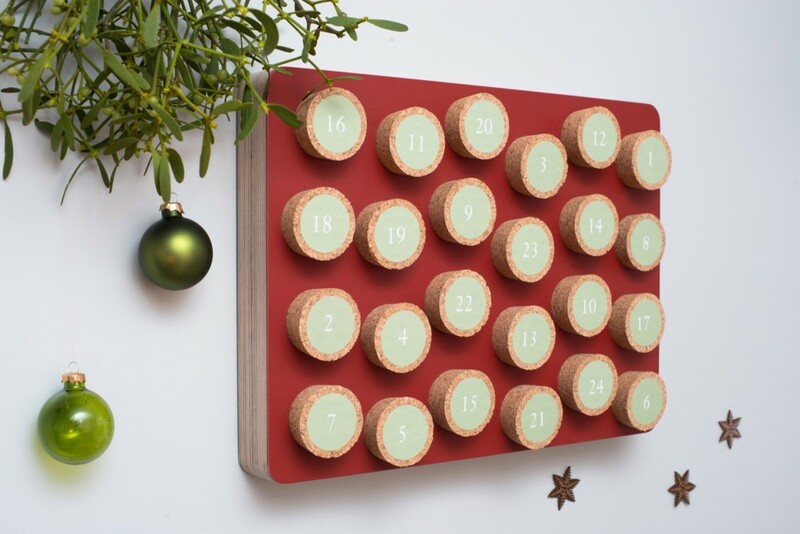 Fill this creative Advent calendar with your favourite little treats and create a fantastic surprise for your loved ones each day as you count down to Christmas Eve. 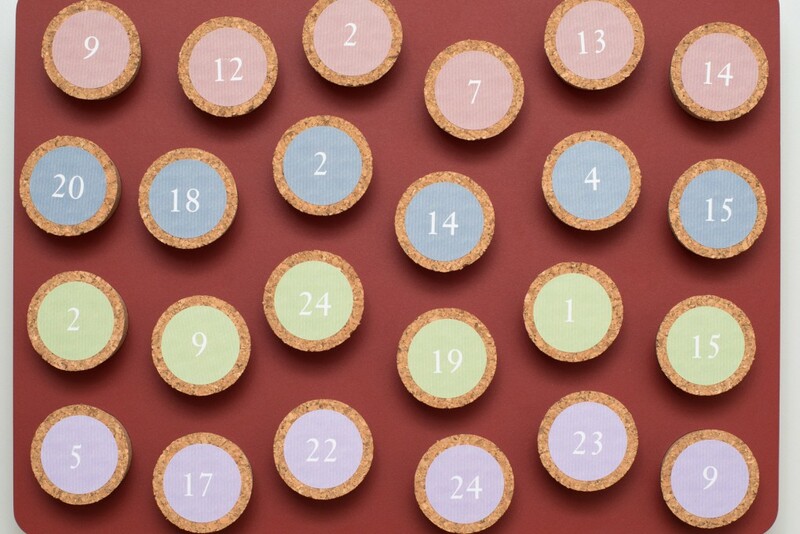 The calendar is crafted out of multiplex covered with red-coloured linoleum. 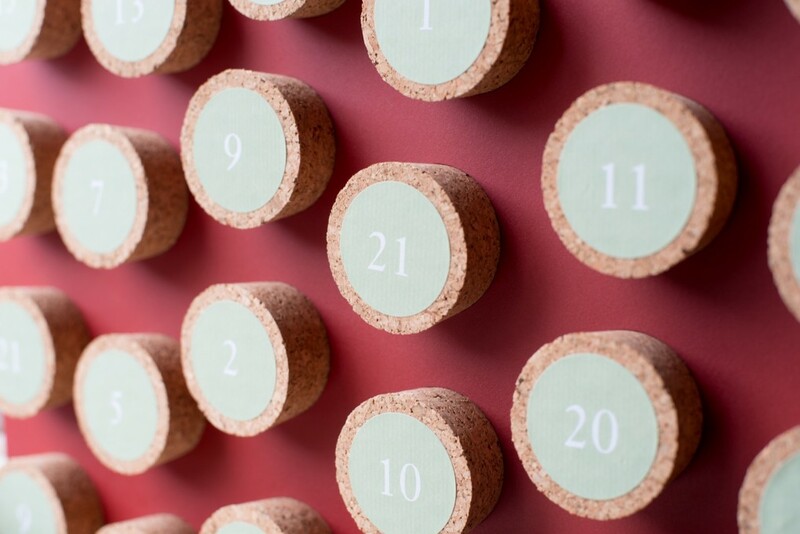 24 inwrought dents are closed with corks that are plastered with number stickers (red, green, blue, or purple). 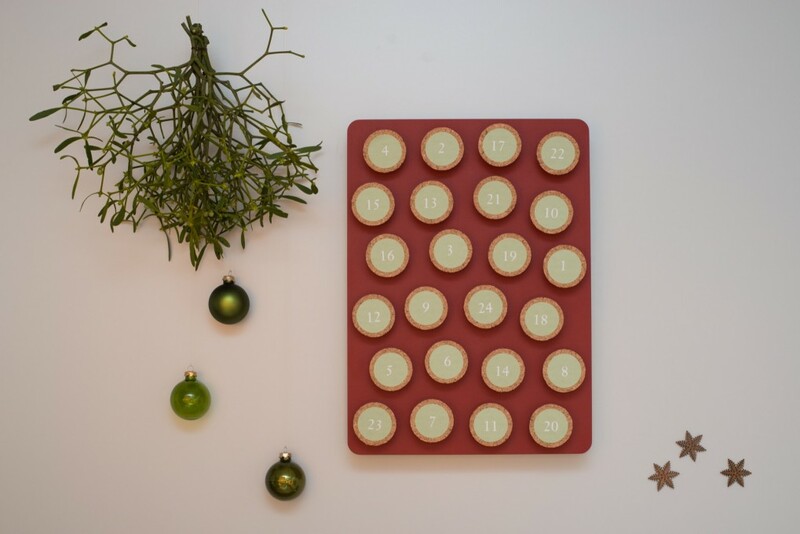 And to top it off, you can bring it out year after year.